Question: What do you love most about camp? Answer: I love coming to camp because it’s a place where you can be who you are and not somebody that you have to be. 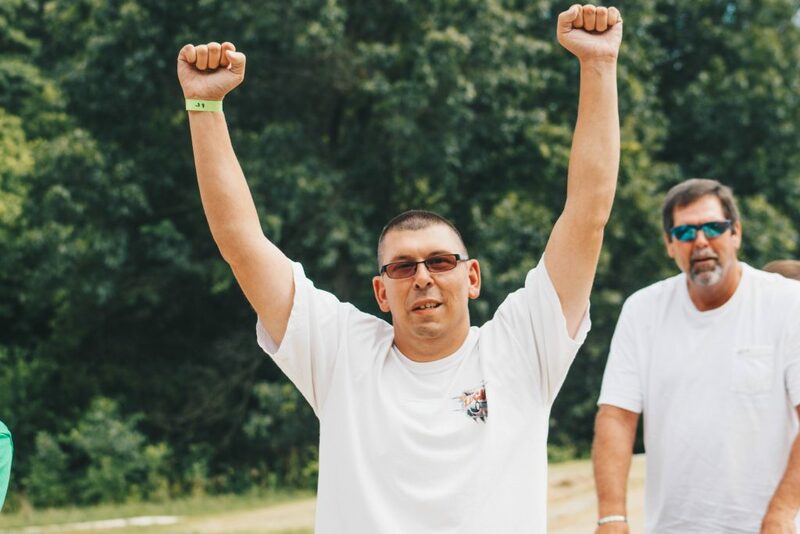 Camp Barnabas is a place where you can come down and immediately feel the love, the caring, the welcoming atmosphere. It is a place where people with disabilities can come down here and not be judged. Question: What was your first summer like at Camp Barnabas? Answer: The first summer, I didn’t know what to expect. It was definitely a life-changing moment, but we stayed in cabins with no A/C, and when it stormed it was bad because the rain would come in. 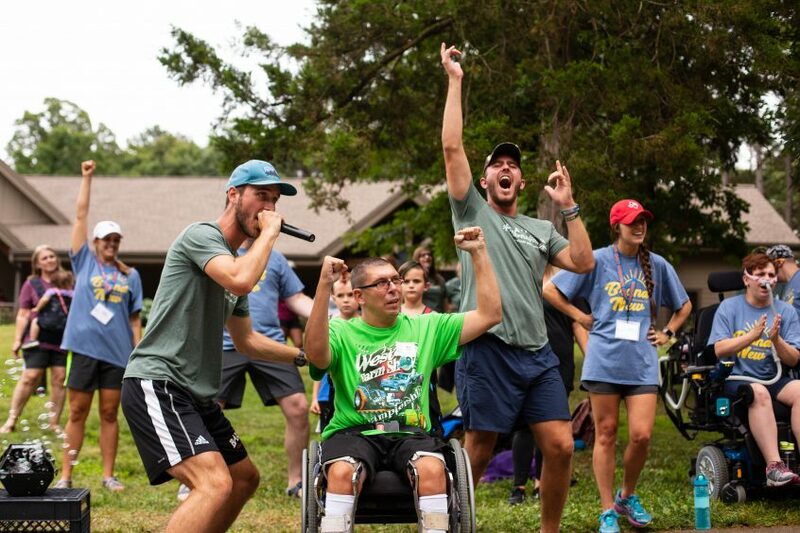 Camp Barnabas is paradise: it’s a second home, you’ll call it your second home by the time you’re done. Question: How have you seen camp change over the years? Answer: A lot of things have changed, the cabins we’re in now are more wheelchair accessible than old ones, it gives us a lot more room to move around, and the bathrooms are close. 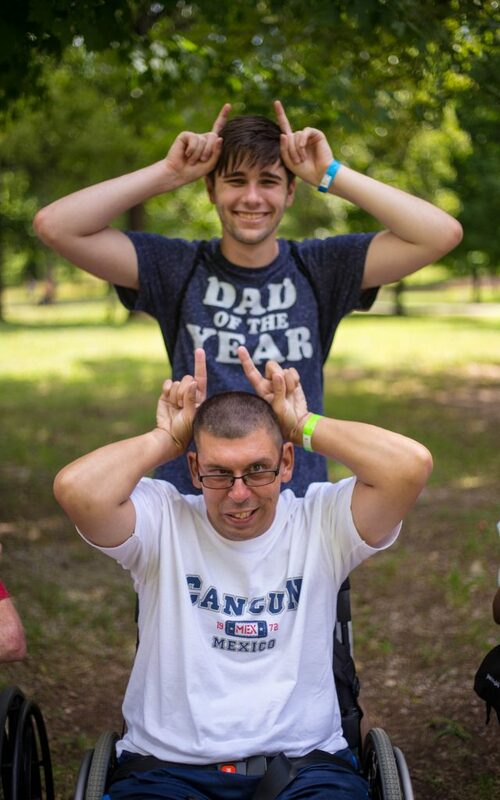 Question: What words come to mind when you think of Camp Barnabas? Answer: Love. Definitely friendship. You make a lot of friends down here, there’s always new people around to meet and get to know. 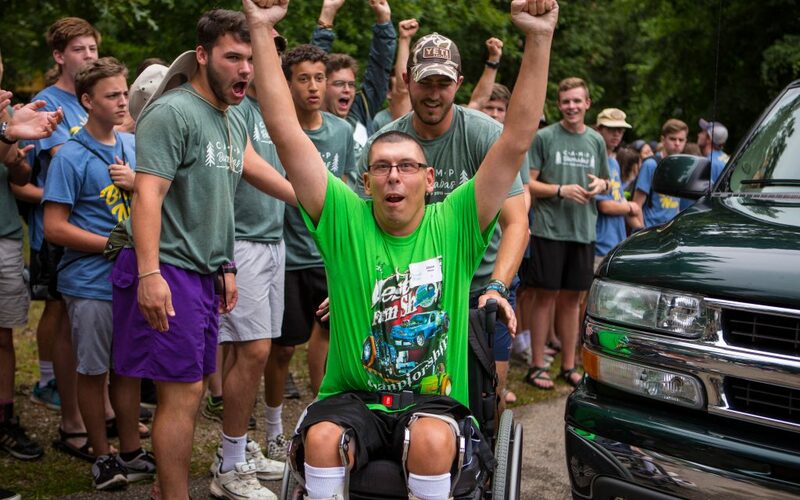 Question: Why should someone come to Camp Barnabas? Answer: Because you’ll have an experience you’ll never forget. It’s God’s house, it’s a place where you can come and worship and talk about the Lord and be around your friends. It’s a place for people that are wanting to learn about the Lord a lot more in an easier way, this is the place for you. Question: Anything else you want to share? Answer: Thank you to missionaries. We’re glad that you’re here. We’re glad that somebody takes time out of their regular schedule to come down here and help us. We love seeing campers like Jason come back year after year and stick around through all our changes. We’re so thankful to all our campers, volunteers, staffers, and supporters for helping us make 2019 the best year yet!